Mongolia is fabulous as far as countries go. Big open spaces, beautiful smiling people, cold, sun, wind, snow, stylish girls in big sunglasses, guys with edgy haircuts, country people in red, purple, green deels. (Traditional robes). The wrestlers palace beckoned and I heeded the call, witnessing Mongolian wrestlers grapple, and fly like eagles around the ring when they won a match. One snowy night in Sukhbaatar Square, the central square of Ulaanbaatar, as I photographed Ogedei Khan, third son to Chingis, enthroned upon his bronze throne for perpetuity, a “Hey what’s up” brought me to pause, and turning I saw Munguu and Tegshee grinning at me. We chatted in the cold wind until it froze us out. We met two times in the following week and a half, culminating in a trip to the National Museum of Mongolia. After experiencing the wonders of Mongolian history, a truly fascinating subject, I gave them each a new testament. They were very pleased, and mentioned that some of their friends have recently become Christians. I told them to read John, and I will answer their questions when I return. As we parted they informed me I am their “best foreign friend”. I really enjoyed meeting Munguu and Tegshee, it was a real pleasure to speak English with them as they were eager to learn. And now, a brief language lesson. Ulaanbataar means “Red Hero”, supposedly a nod to Damdin Sukhbaatar, who expelled Chinese forces, and other foreign forces threatening Mongolia, and then got cozy with the Communists. So, Ulaan (or Ulan) means red. Baatar means hero. Sukh means axe, so Sukhbaatar = Axe hero. Tomorrow I will be travelling from “Red Hero” to “Red Gate” the meaning of our beloved Ulan-Ude! Hurrah! 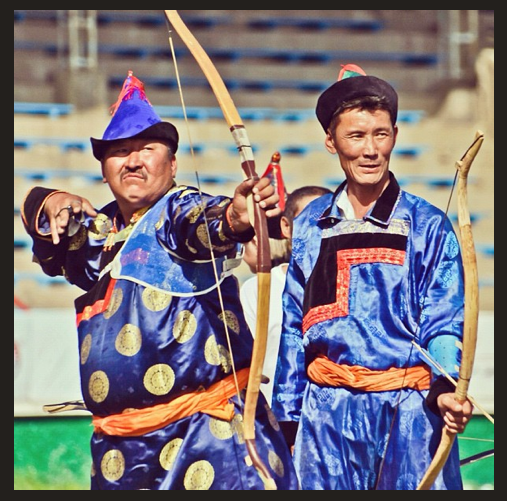 This entry was posted in Culture, Travel and tagged Khan, Mongolia, Red Gate, Red Hero, Sukhbaatar, Ulaanbataar, Ulan-Ude, Ulanbator, wrestlers by www.transformsiberia.com. Bookmark the permalink.